We’re kicking off the brand new year with a brand new resource for local young farmer organizing – the Organizing Handbook: How to Bring Local Farmers Together for Shared Success! Since our beginning four years ago, we’ve been the voice for beginning farmers on the federal level – but we know that a lot of the challenges that farmers face need to be addressed at home. That’s why NYFC has been working with farmers around the country to form local NYFC groups that organize and mobilize for collective success. We’re thrilled to be a part of that organizing, and we want to provide whatever resources we can to make sure your local organizing is successful. From starting cooperative buying clubs to organizing equipment shares and letter-writing parties, NYFC chapters are a platform for forging collective success and connectedness. Each NYFC chapter is uniquely driven by local needs, but we are all unified around this mission: Through skill-sharing, advocacy, community-building and collaborative activities, NYFC chapters empower young farmers to find success. Special event planning and more! 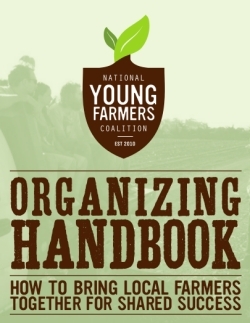 Organizing Handbook: How to Bring Local Farmers Together for Shared Success is a step-by-step guide to starting an NYFC chapter. Our goal is to help launch a chapter in every region so that you and other farmers across the country have access to a supportive community of your peers. But to make this happen, we need you! Check out the handbook today, and start organizing! 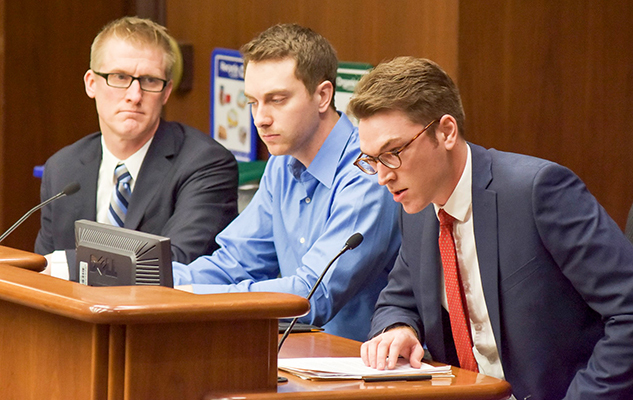 Contact us at organizing@youngfarmers.org – we’d love to work with you. « previous article: Is social media working for your farm?